In the last 12 months alone, IT development has brought the bosses of Facebook and Google to Nigeria. This has all happened in the midst of an economic downturn where petrol – the main export has been consistently falling in value. It does not take a prophet to show that the millionaires of tomorrow will be those who build IT skills today. It’s not even just building wealth that makes IT skills so appealing – it’s the freedom to be able to be in Nigeria, and work for anyone, anywhere on the planet and earn in foreign currency. That automatically takes away dependence on local job availability, and getting a job now depends truly on your skills, rather than your tribe, gender or looks. 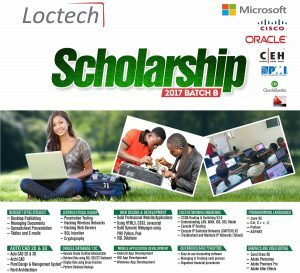 The scholarship is based on an examination which you will need to write on a day you select. 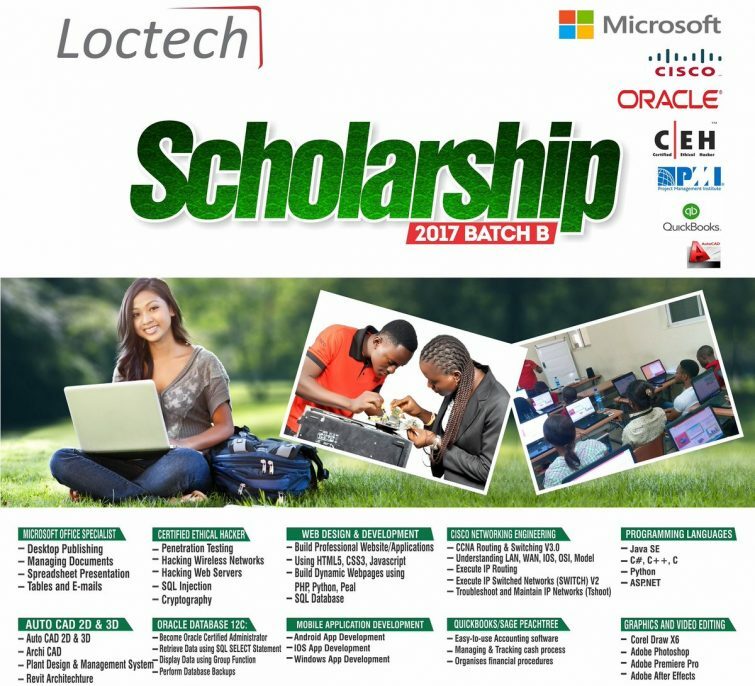 Go here to apply for Loctech’s scholarship, and remember that you will need to select your chosen exam date.